Recently, NordicTrack decided to change the iFit requirements AGAIN on two of their most popular models: the Commercial 1750 and the x9i Incline Trainer. Currently, both of these modes DO require an iFit subscription. There was a brief period of time in February 2018 when this requirement was removed, but it is back. Complete GlobeTrek workouts using your iFit Coach programming. These programs truly let you workout around the globe! 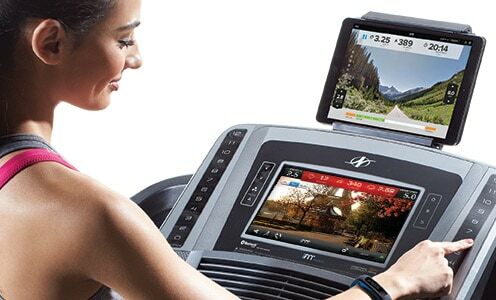 Participate in GlobeTrek (TM) workouts where you are led through your workout by a professional trainer right on your treadmill display. See stunning destinations and a stat display including all of your workout information. Work with Elite Personal Coaches with a variety of training styles, histories, and personalities. They can help motivate you to stick with your workout and push harder than you might on your own. Join LiveCast Workouts – Join high-powered, pre-recorded studio workouts where your trainer controls your machine’s speed and incline. This will feel like you’re in the studio sweating alongside your friends. 360-DegreeTraining – Use the iFit Coach App on your smart device to keep track of your workout stats. This program also syncs with your online iFit account and lets you track things like nutrition, sleep, and activity level. Run Virtual Routes using Google Maps – iFit allows you to customize your running route using GoogleMaps so you can run your local roads or your favorite vacation routes from your living room. 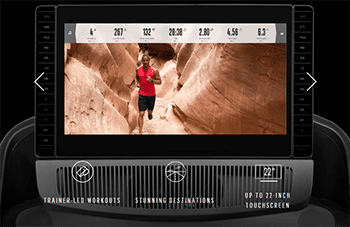 iFit Coach Plus is an excellent way to take control of your workout experience. Yes, it costs a bit more for membership, but it will take your workouts to the next level so you can truly see results. For many people, this extra investment may be the extra push that is needed to make the best of their treadmill. How Can You Find Current iFit Live Coach Requirements or Pricing? 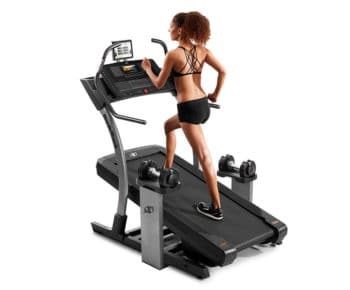 The NordicTrack Commercial 1750 and the x9i Incline Trainer are now available for purchase WITHOUT an iFit subscription. If you are not sure of the most up-to-date requirements for a NordicTrack, simply click “Buy Now” on your selected model. 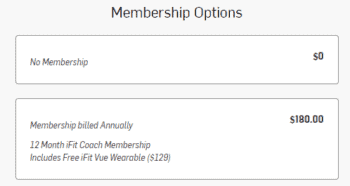 Then, look for “Membership Options” to see if a $0.00 membership is available. This will also clarify whether that particular machine requires an iFit Coach Plus or simply an iFit Coach subscription. We have found that the NordicTrack customer care chat option on their website is very helpful for quick questions. Salesman can also help offer extra incentives like free mats if you ask. Note: Smart HD Touchscreens cannot access the Internet.